The unstoppable artist/activist strikes again! 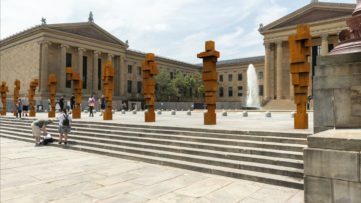 Ai Weiwei continues to base his work around the ongoing struggle of immigrants, trying to come up with new ways of confronting the world with their hardships. 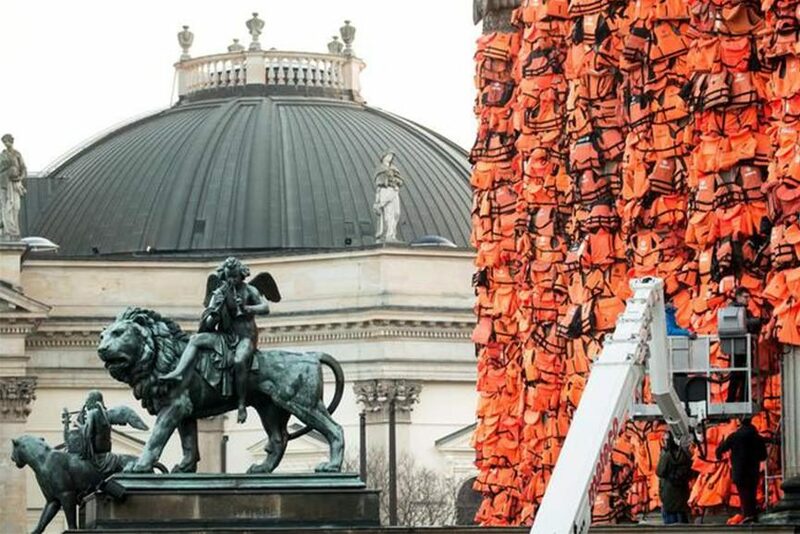 His latest stunt happened in Berlin, and the Chinese artist covered up an important landmark with thousands of refugee life jackets, bringing to focus the obvious issues of the current state of affairs. After spending time in the Greek island of Lesbos where he was helping the newly arrived refugees, the creative mind of Weiwei was just working out his next project through which he would alert the public once more. 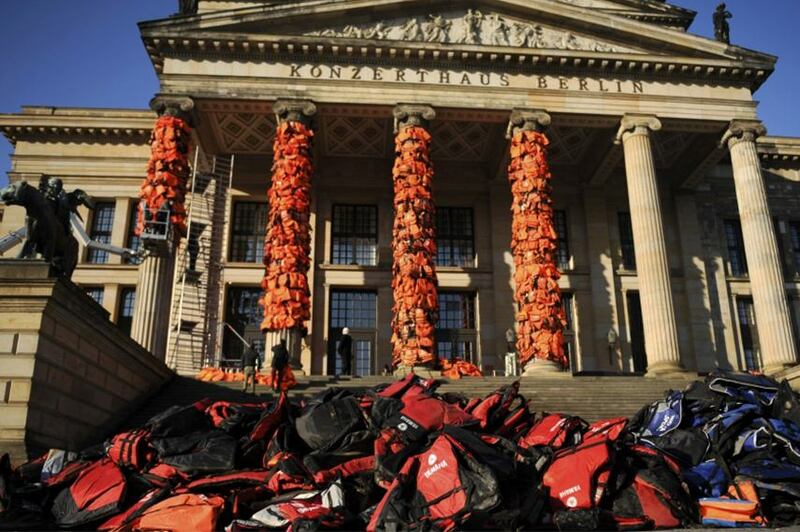 14, 000 life jackets covering the columns of the German city’s famous Konzerthaus venue is certainly a poke in the eye to the public, and a wake-up call for many who have already forgotten that the immigrants situation is still at large, and will not sort itself out. The series of Weiwei’s previous endeavors dealing with the refugees include him setting up a studio directly at one of the hotspots where the new arrivals reach the mainland. Once more harnessing the omnipresent powers of social networks, Weiwei created a lot of documentary material and spread some heartbreaking images which he made first-hand with the struggling people. Before that more direct approach, the Chinese dissident went to London to flip the bird and walk the walk. Together with Anish Kapoor, the famous freedom fighters did a solidarity march, summoning attention for the refugee crisis. 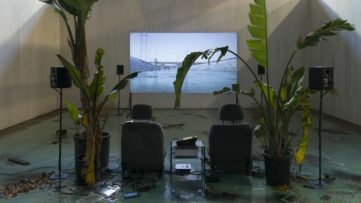 Not too long ago, Ai decided to make another impacting choice and pull his works out of Denmark exhibition, in order to protest the country’s controversial migrant bill. After that, the following stunt sparked a lot of controversy and made some people wonder where the artist would draw the line. 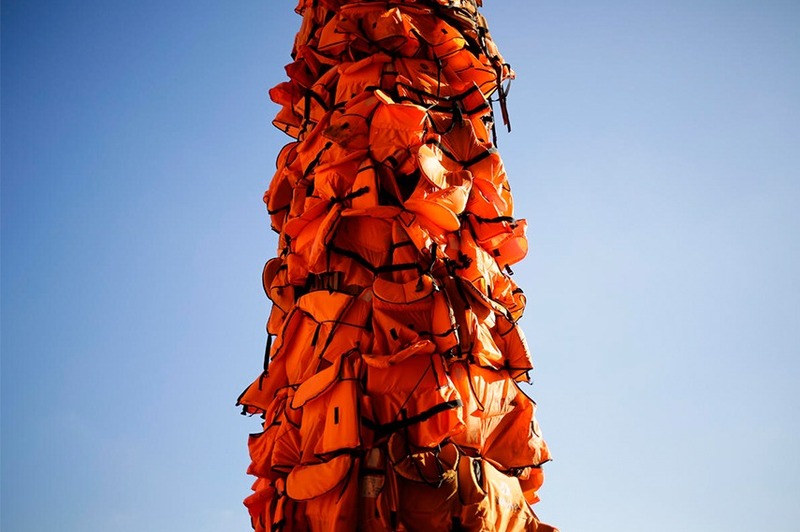 Before the artist left Greece, he received the support from the authorities in Lesbos to carry out his artistic endeavor for which they provided him with the 14,000 life jackets. This unyielding chain of actions brings us to Berlin and the latest addition to Ai Weiwei’s saga for the refugees. 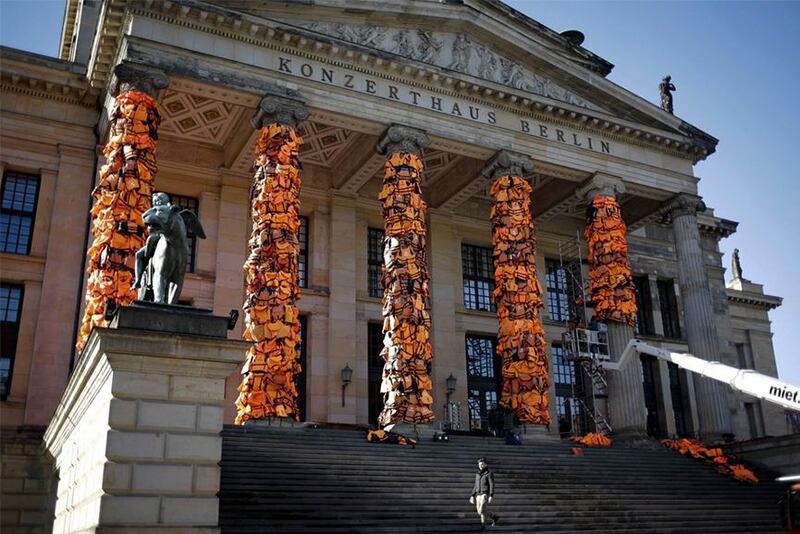 Together with his team, the artist began wrapping 14,000 discarded life vests around the Konzerthaus venue pillars overnight. As previously mentioned, the left-over jackets were unwanted, and the authorities of Lesbos were happy to provide Ai with the material for his next project. 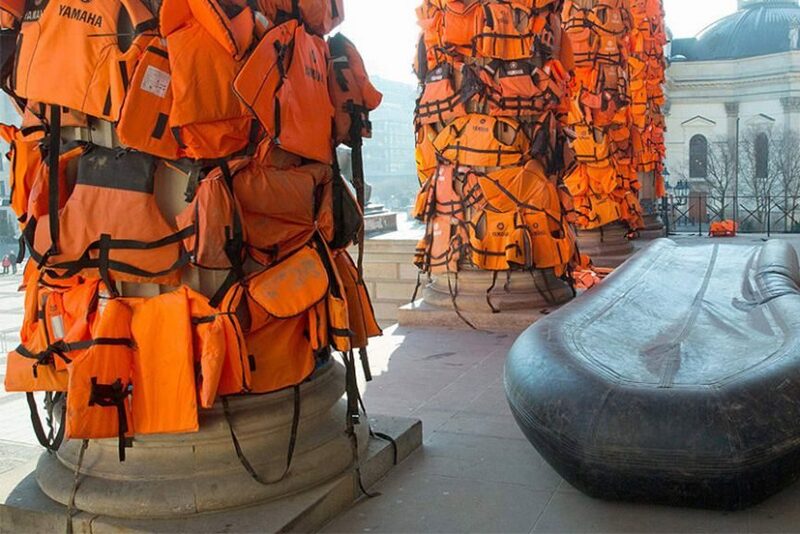 The large-scale installation highlights the pressing issue of the ongoing refugee crisis, and reminds the world that over 1 million migrants arrived to Europe by sea routes, in 2015 alone. And, more harrowing is the fact that over 400 people have lost their lives while battling the treacherous sea crossings. 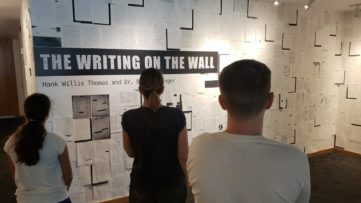 With Germany being one of the pivotal states in the worldwide crisis, the location for this installation comes as no random selection. The Europe’s reluctant hegemon has, arguably, tried its best to be the leader in the face of multiple overlapping crises, but other countries didn’t seem to follow their initiative. On the diplomatic front, some European countries are doing their best, but when it comes to finding pragmatic solutions, the lack of confidence is evidently crippling all attempts. Perhaps, politicians should take inspiration from the daring artist such as Ai Weiwei, who are clearly thriving with inspiration, courage and initiative. 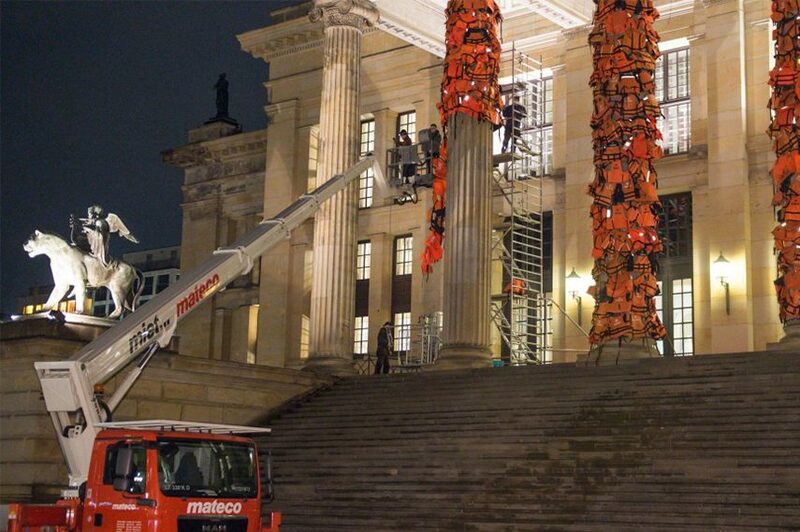 Surely, this will not be the last in Weiwei’s series of projects concerning with the immigrants crisis, and since each seems to be more daring and more controversial than the previous, we cannot even begin to guess what the next stunt will be.